Grinding noise when you push down on the pedal. A jerky feel when you press down on the brake pedal. You need to apply more pressure when pushing down on the pedal. Your brakes make unusual sounds when coming to a stop. 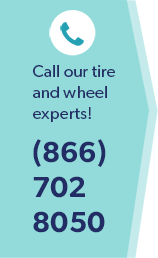 Anytime you suspect your brakes are not performing as well as before; it is time to take your vehicle to your local brake expert in Burke, VA to see if you might need a brake pad replacement. The mechanic will inspect your brakes and if necessary will suggest a brake pad replacement. If you are hearing and can feel metal grinding against metal when you press down on the brake pedal, you can be assured now is the time for a brake pad replacement in Burke, VA. Don’t hesitate to have this done because you put yourself and others in danger on the highway. At the first signs of noticing something different about your braking system, you should take it to your mechanic in Burke, VA. Letting a brake pad replacement go too long could damage your rotors which will then need to either be resurfaced or replaced. You should be able to get at least two or more brake pad replacements before you have to replace your rotors. Driving daily in stop and go traffic. Driving on roads where there are a lot of hills and sharp turns. Driving in heavy traffic areas where you are constantly braking. Maintaining a good braking system is imperative for the safety of you, your passengers and other drivers on the roads. Make sure to have your brake pads replaced as soon as needed to avoid preventable accidents in Burke, VA.